Kansas has become the third state to get on the wrong side of the Securities and Exchange Commission. The commission says the state's public employees' retirement system committed securities fraud by not telling investors how underfunded the pensions of its 155,000 workers were. Kansas joins New Jersey and Illinois in having been cited by the SEC in recent years for similar offenses. While not admitting or denying the SEC's finding, the state agreed not to commit any violations in the future. "We are pleased that the SEC did not seek any financial penalties or make any claims of intentional misconduct [[ based on the actions of former administrations ]]," said Jim Clark, Kansas' Secretary of Administration, in a statement. Kathleen Sebelius, the former U.S. Secretary of Health and Human Services under President Obama, served as governor of Kansas until 2009. Republican Sam Brownback is the current governor. Related: Are you making one of these five big retirement mistakes? The SEC said Kansas raised $273 million in bonds in 2009 and 2010 but failed to disclose to investors how badly the pension situation was. That meant that the bonds' buyers didn't know which obligations would be competing for state money that would be used to pay them back. 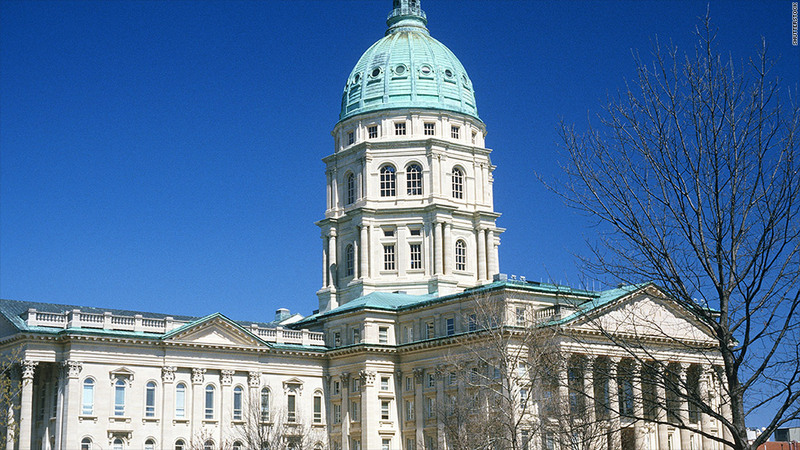 Kansas' finances have come under scrutiny of late. Last week. Standard & Poor's downgraded Kansas' credit rating last week because its tax cuts were more expensive than legislators initially let on.